A Culinary Sensation for Kids A Culinary Sensation for Kids - Yes, Chef! Culinary Events - Atlanta Cooking Classes, Team Building and Culinary Private Events: Inspiring people and imaginations through the kitchen. (June 1, 2011) SANDY SPRINGS, GA – For years moms would get up at the crack of dawn on a Sunday in January to stand in line at the Jewish Community Center so their children wouldn’t be shut out of the perennially sold-out Cooking Caper and Pastry Party Camps that were run by cooking teacher extraordinaire Cyndi Sterne. 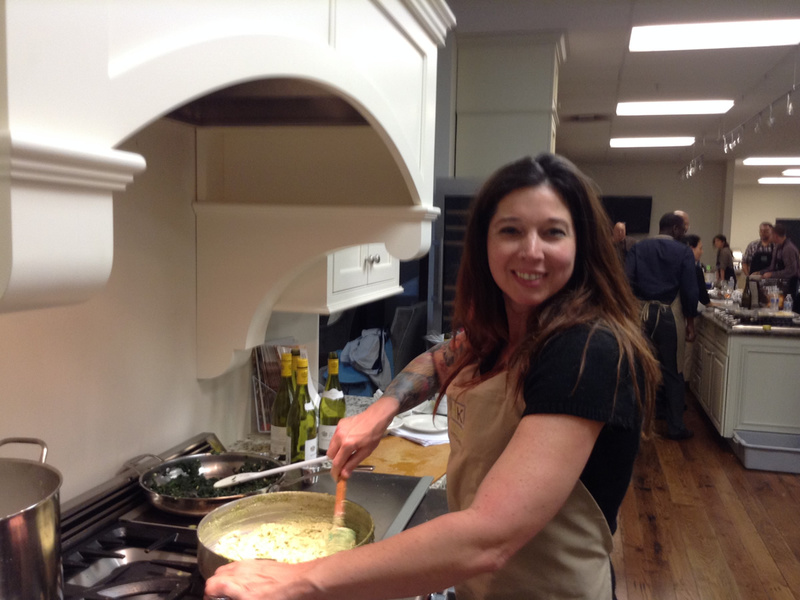 Now that Cyndi Sterne will be opening her own cooking school, Yes, Chef! Culinary Events in Sandy Springs, mothers around the Metro area can get the sleep they need, resting assured that their children will have a fun filled culinary experience, as they can simply register online for the cooking camps at Yes, Chef! Culinary Events. With state of the art, Wolf and Viking stoves, ovens and cookware at their fingertips, children ages 7 to 10 will have the opportunity to learn about the food and cultures of countries across the globe with Sterne’s “Around the World in a Pan” summer camp. And for kids who want a culinary tour closer to home, Sterne’s “United States of Eating” would be right up their alley. This class focuses on travel across the US via delicious indigenous dishes from New England to New Mexico, Ohio to California, Alabama to Hawaii, class participants will criss-cross the United States and discover culinary treasures along the way. This land was made for you and me to eat! All aboard! These highly anticipated summer camps will teach children a variety of culinary skills that they can duplicate in their own kitchen. After preparing each of the dozens of dishes, participants will have the opportunity to enjoy their creations and even take home a recipe book keepsake. “Around the World in a Pan” will be held during the weeks of June 20th and July 18th , and “United States of Eating” will take place the weeks of June 27th and then again July 25th. The cost of each camp, which will be held Monday through Friday from 9am until 2pm, is $295 per week, including lunch and tastings of each of the delicious dishes that the campers prepare. For the older culinary enthusiast and perhaps the next Food Network Star, Sterne has created “My Very Own Cooking Show” themed cooking camp. During this two week camp, children ages 11-14 will learn to cook and star in their very own cooking show. Week one covers cooking basics and building different theme menus. Week two teaches the next generation of food stars how to demonstrate their cooking abilities in front of a camera. The culinary excitement, the camaraderie and the coaching how to perform in front of the camera is sure to be an unforgettable experience, especially with their own DVD to take home! This two week camp is also held 9am until 2pm and costs $595 for the two weeks. Individual attention is given to each camper during each of these classes, and therefore class sizes are limited. As such, it is best to visit www.yeschefatlanta.com to register as soon as possible. There’s nothing that will thrill a child that enjoys cooking more than having their birthday party at Yes, Chef! Culinary Events. Sterne and her top notch culinary staff specialize in providing a fun-filled, personalized experience to help kids celebrate their special day and create a memorable birthday party for everyone in attendance. With a menu featuring so many different culinary themes, every birthday boy or girl is sure to have the opportunity to focus on their favorite foods. For example, “Happy Birthday, Cupcake” spotlights the cupcake craze that’s sweeping the nation. Kids can choose to create their favorite cupcakes or delicious cake balls, and enjoy their decadent culinary creations. Each guest will receive recipes, an apron and a special gift from Yes, Chef! Culinary Events. For the Pasta lover, the guest of honor can have a “Pasta, Pasta, Pasta” Party where they and their friends can choose from three different pastas; gnocchi, ravioli or noodles, and create various sauces to accompany them. Other fabulous birthday party themes include “You Are My Sunshine,” instructing the birthday child and his or her friends how to make the most decadent, flakiest breakfast pastries and enjoy them along with jam and honey. The “Sweet as Pie” party has attendees creating their favorite luscious pies, and “Hot Diggity Dog” will teach kids how to create healthy treats for themselves and their beloved pets… all while everyone is having a blast. All birthday parties at Yes, Chef! Culinary Events include invitations, hands-on cooking instruction led by a professional, exciting planned activities, a specially tailored themed menu including delicious food and snacks and of course, a scrumptious birthday cake. The birthday child as well as every guest will leave with a recipe keepsake as well as an exclusive gift from Yes, Chef! Culinary Events. Birthday parties are for kids ages 4 to 16 and the cost is $350 for a group of 15 kids. Each additional guest is $22.00. Yes, Chef! 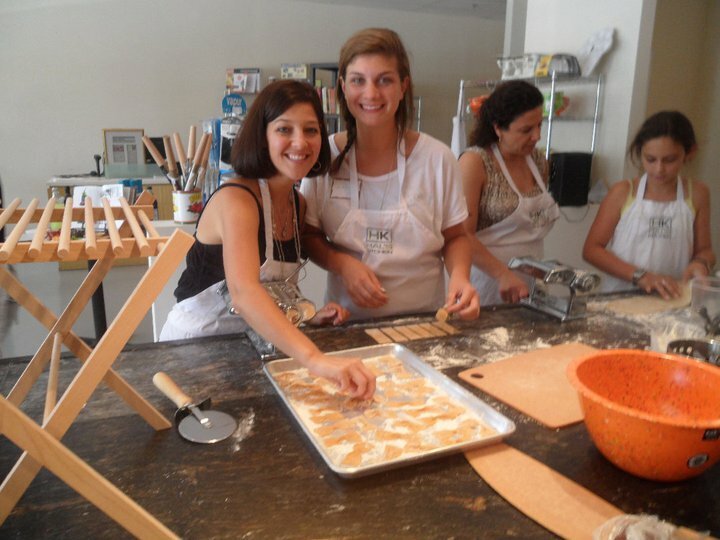 Culinary Events, an adult-focused cooking school transforms itself when focusing on cooking camps and birthday parties. It is truly a cooking experience worth craving. This state-of-the-art cooking school is located at 206-B Johnson Ferry Road, in Sandy Springs, at the corner of Sandy Springs Circle. For more information, please call 404.847.6991, or visit www.yeschefatlanta.com.